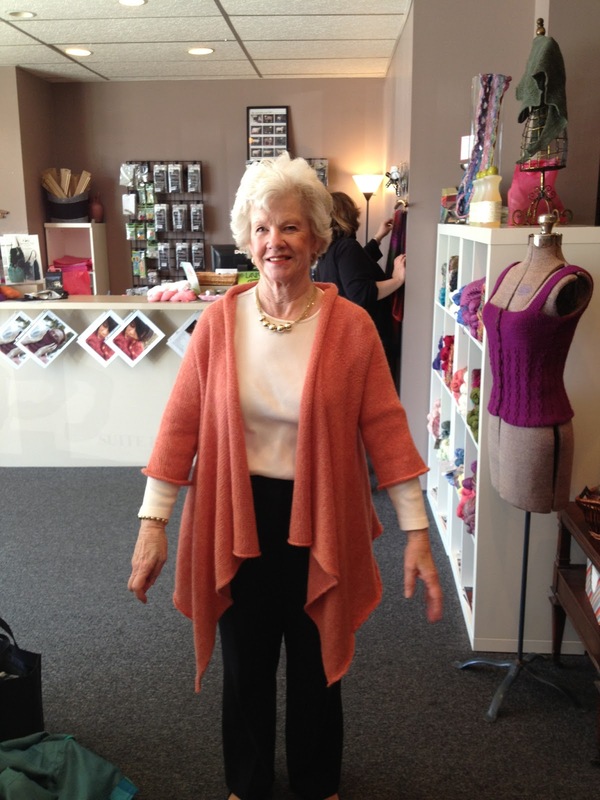 The very lovely Anne Boone finished her Adrift last week in Galler's Heather Prime alpaca. This was lovely right of the needles, but a nice firm hand in the blocking really opened the fabric up and smoothed the edges out beautifully. 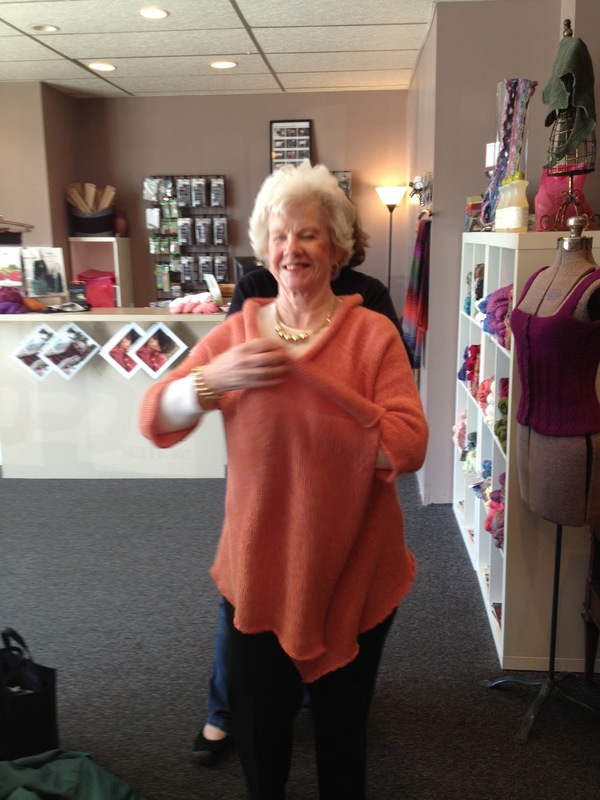 It looks great on the mannequin, but lots of things look great on the mannequin, so it was good to have a chance to see Anne come in and put it on post-blocking. And voilà - so lovely. Great job Anne! 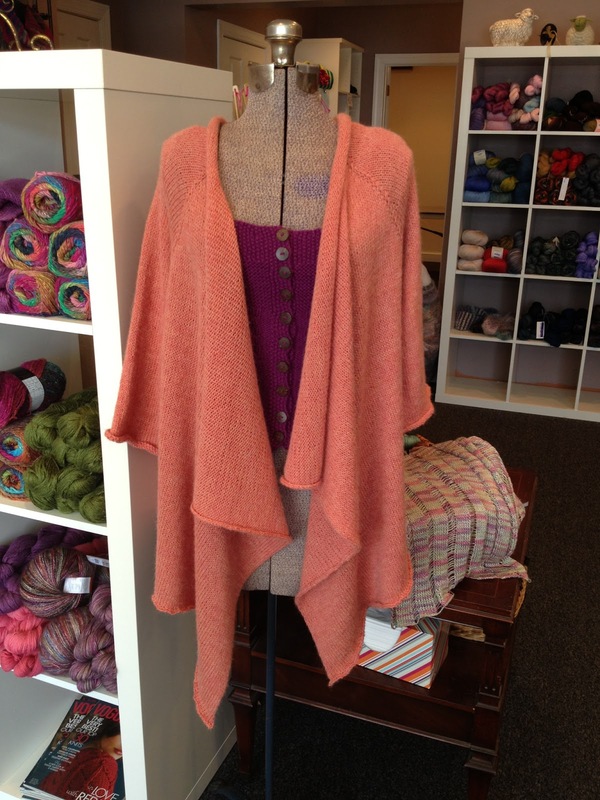 It's even more attractive on you than it is on the mannequin!